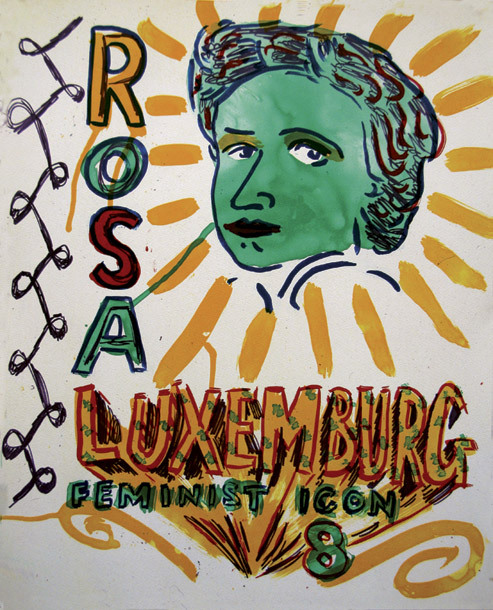 In this suite Bob & Roberta Smith presents a very personal idiosyncratic top ten list of inspirational women including Rosa Luxembourg, Andrea Dworkin, Suzanne Moore, Julie Burchill, Hannah Arendt, Billie Holiday, Maya Angelou, Bessie Smith, Bidisha, Naomi Wolf. 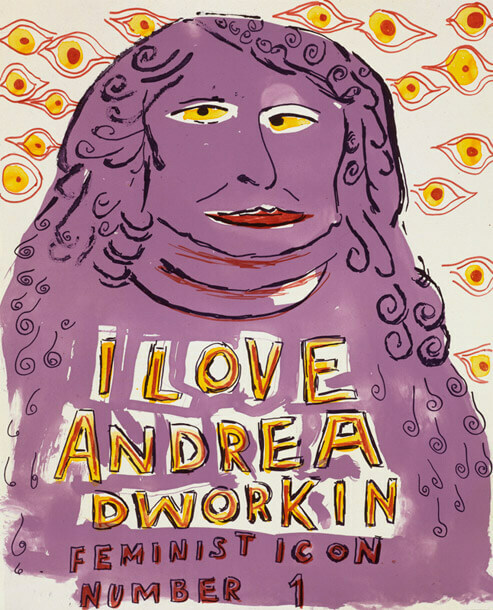 For Bob & Roberta "The Feminist writers, journalists and musicians in Feminist Icons simply talk good sense. Like all really radical thinkers, what they say and sing is obvious, honest and truthful. Society, which itself is distorted, marginalises the opinions of those who do not maintain its distortions." 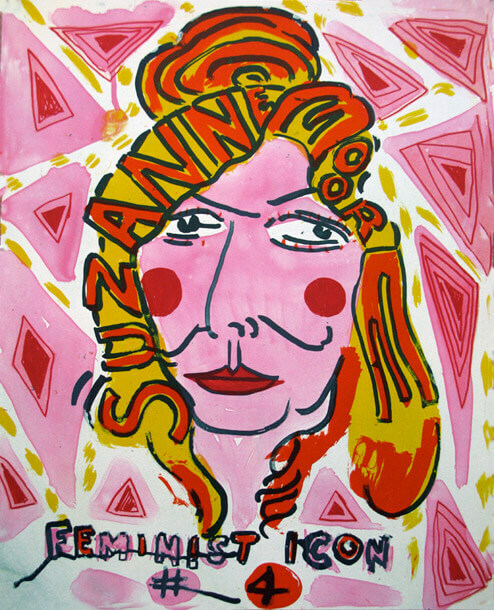 The Icons of Feminism suite was inspired after Bob & Roberta spent two years researching the archives of Jacob Epstein at the New Art Gallery in Walsall. Within the archive are many letters and photos from Epteins later life, when he became a considerable celebrity in the art world. Bob & Roberta began admiring Epstein for his battle with a rather philistine, and at times, anti Semitic art world, however in his dealings with the women in his life and as a family man he was distant, egotistical and rather misogynistic. Bob & Roberta formulated the view that it was people like Epstein that 1970's Feminism was designed to combat. In 2011 Bob & Roberta invited an audience at the ICA, London, to sign up to Esther's Law: a new law based on a sculpture by Jacob Epstein of his teenage daughter, which seems to challenge the male hegemony of art and suggests society should create a truly representative political system in parliament, including 50% of women. Rosa Luxembourg was murdered for her socialist views in 1919, by a growing authoritarian Fascistic German state. Suzanne Moore, a journalist who writes for the Guardian. A powerful and human radical voice. 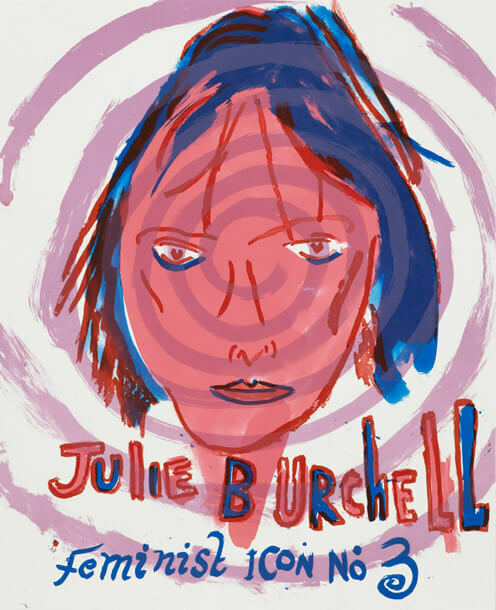 Julie Burchill, a fantastic, harsh and acerbic satirist and political commentator. Brilliantly undermining of men. 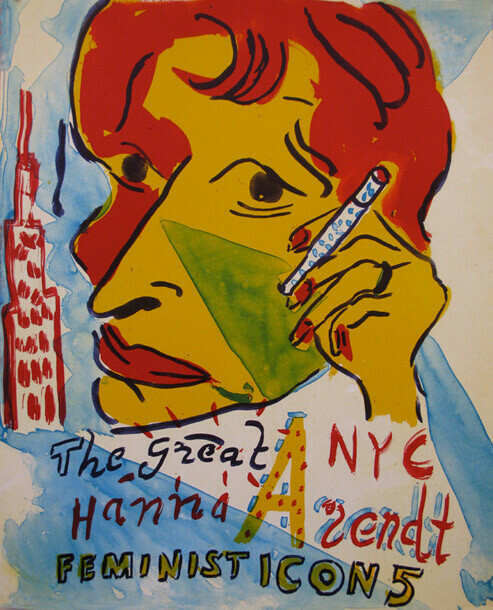 Hannah Arendt, says freedom is public, performative and associative and smokes a lot. 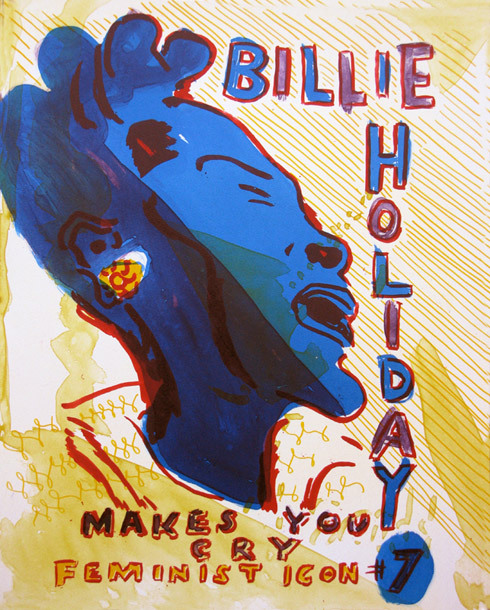 Billie Holiday popularised the powerful anti lynching song 'strange fruit'. Holiday's voice rips your heart out. 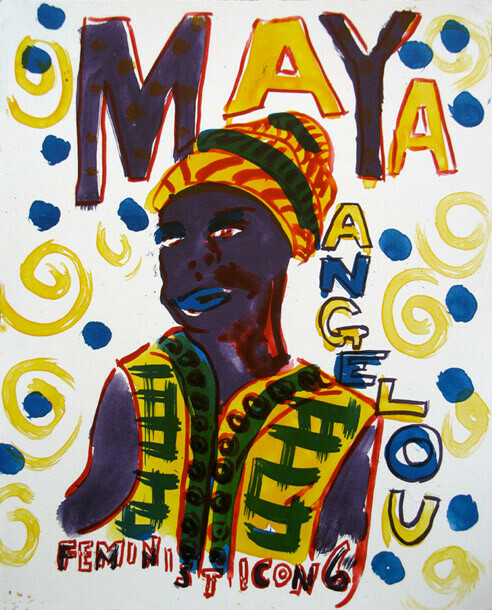 Maya Angelou, chronicles with humanism the story of the continuing emancipation of Black America. 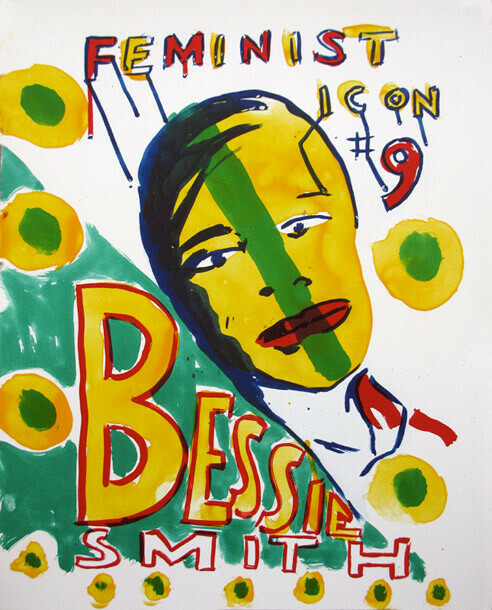 Bessie Smith, one of the first icons of the Blues, her songs frequently portray the cruelties of life from a black woman's perspective. 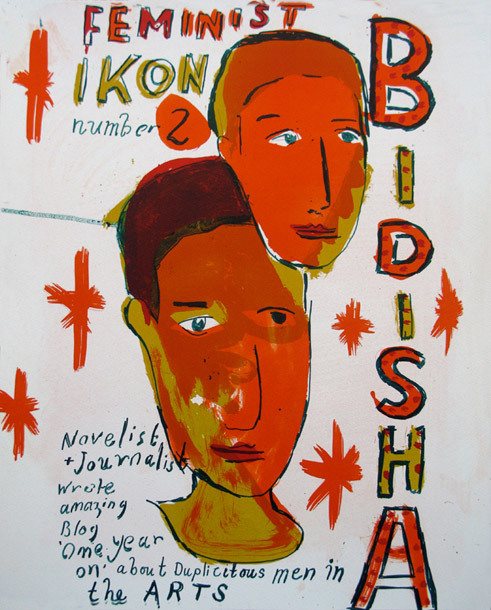 Bidisha, a powerful writer, broadcaster and journalist whose blog 'one year on' exposed the fickle nature of men in the art world who everyone covers up for in order to maintain their charming 'new man', 'nice guy' image. 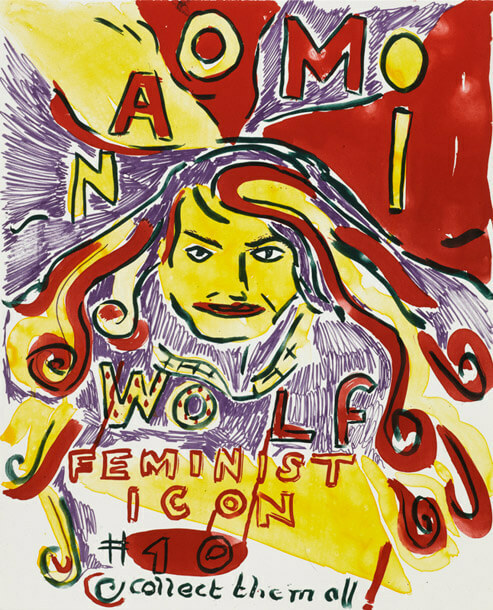 Naomi Wolf, an inspiring intellectual voice of American feminism.